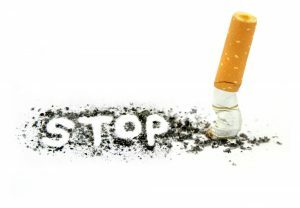 Quit smoking hypnosis involves the gentle and safe targeting of your mind’s subconscious to change the root causes and triggers behind your smoking addiction, and the safe anchoring of new behavioural patterns and ways of thinking that will help you stop smoking. Through the combination of modern and traditional hypnotherapy techniques, our Brisbane based hypnotherapy clinic provides clients with an easy way to quit smoking. After just one hypnotherapy treatment, you can be a non-smoker for life. With a 95.6% success rate, the majority of our clients walk away a permanent non-smoker. It is an amazing process and one that changes their lives for good. Imagine! Never having to think of smoking a cigarette again! How would that change your life? Most smokers consciously make the decision to start smoking, usually at a young age, but often between 13 and 18 years of age. Teens start smoking because friends, family or those they admire smoke. It gives them a feeling of ‘belonging’. Belonging is one of the top human needs. It is very powerful. However, as this decision becomes entrenched subconsciously it becomes a habit outside of conscious control, making it difficult to stop. While the chemical addiction plays a small role, successfully quitting smoking cannot be achieved without addressing these subconscious causes. Hypnotherapy for smoking involves placing the individual in a state of trance or altered awareness. In this state, an individual’s mind is more open to suggestion and a direct link can be made between conscious and unconscious behaviour. Despite the myths and misconceptions surrounding hypnosis, figures have shown it has an exceptional success rate, in fact of all methods to quit smoking, including pills, patches, cold turkey only acupuncture has a similar proven success rate.. Many people enter our hypnotherapy clinic with a preconceived idea of what they are going to experience based on what they have seen on stage shows or television. However, our unique treatment is not ‘entertainment’, it is a scientifically proven, hypnotherapy process which, with a 95.6% success rate, is supported with results. If you are sick and tired or patches, pills and methods that have not worked and you feel unable to break the hold that cigarettes has on you, perhaps its to give quit smoking hypnosis a chance. Our experienced hypnotherapists are here to help. We can help you to stop smoking. Give us a call and we can answer any questions you may have and explain our 4 step unique process to you. If you would prefer to come and ‘check us out’ book a Complimentary session and come and have a chat. We would love to help you quit smoking for good. Call us on 1300 64 53 54 and or contact us to book an appointment today.